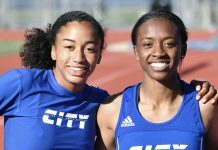 Home Culver City High School Goal! 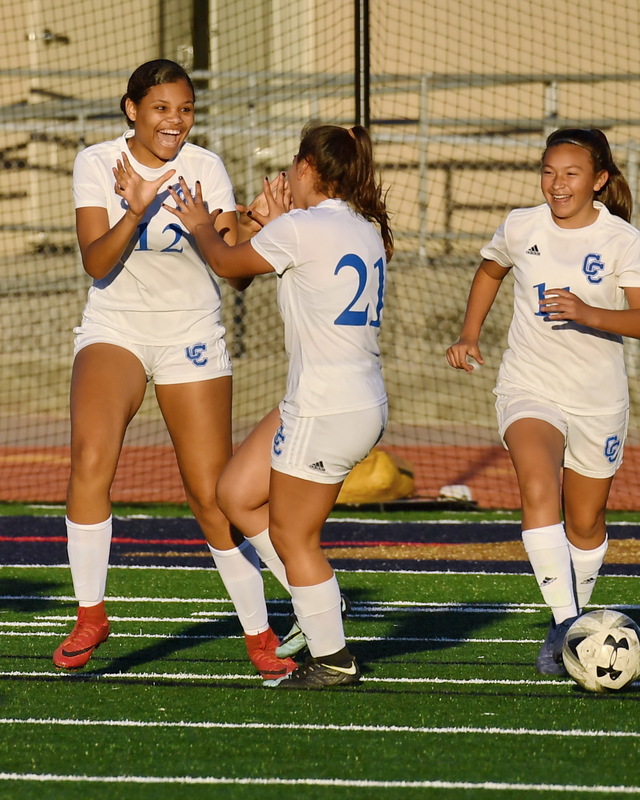 Culver City’s Brooklynn Hamilton, left, celebrates her goal against El Segundo with Natalia Contreras, center, and Valentina Maceira last week. The Centaurs avenged a home loss to the Eagles by shutting them out 3-0 at El Segundo last week. 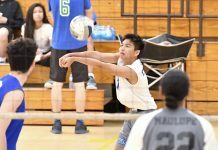 They are currently tied with Beverly Hills for first place in the Ocean League but the two teams played last Wednesday. Both teams had a league record of 7-2 before the game on Wednesday.